Effective Supervisors are the backbone of any organizations. This is one of the reasons why many organizations has regular training for their supervisors. 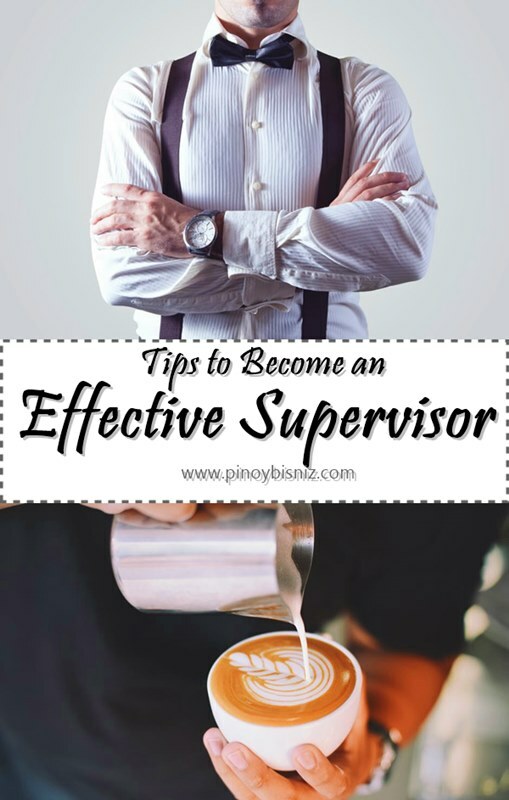 There are many ways to become an Effective Supervisors, let me share with you some tips on how to become one. Effective Supervisors need to be able to present complex ideas in simple terms and convince others about why tasks need to be done a certain way. They also need to be able to communicate upward to higher management about issues and concerns on the floor—and, importantly, good Supervisors have good listening skills which they use with both upper management and their work teams..
World is changing at a fast pace and only flexible people survives. The efficient supervisors ought to keep up with it. Do not just blindly follow the age old norms and rules. Think out of the box if required. Adjust to the needs of the organization. While effective supervisors are people advocate they have first the responsibility to the management they work for. This role includes communicating to the people the direction and goals of the organization. Share your experience. An effective supervisor shares his wisdom, knowledge and experience with the employees. An effective supervisor is a role model. If a supervisor is disciplined then only can she expect the people to be so. The boss is an example – Come on time, meet the time-lines, set a behavioral code if necessary. Promotions, feedback, raises and accolades should be showered on the deserving people. Be hands on – Do not just always delegate. At times the boss should take on projects too. She may try picking up something less attractive or uninteresting and complete it wonderfully. This sets an example to all the team about taking up challenges and about how any work is important. The employees should not hesitate in approaching the supervisor with their concerns and problems. An efficient supervisor will make sure that there is enough trust and openness between her and the employees for the latter to come to her with their grievances. People are not just employees. They have families, friends and a life beyond work. Unless there is something urgent, do not make them work beyond the usual hours. Let them have their weekends and vacations. Be practical when setting the time-lines. This all will in turn improve the efficiency and the productivity of the employees. Positive attitude makes any person amiable. Wish employees good mornings and be generous in thanking them. Inquire after about their families off and on. When mistakes happen a good supervisor tries and understands the reasons behind the mishap. He criticizes or assesses the employee in proportion to the mistake. And it is always better to not to scream or scold in front of the others. Give constructive feedback; show them the right way to do things. You will only be effective supervisor if you were able to influence an employee to be productive in their own field since they play as a role model. Effective supervisors are necessary in all settings where employees need guidance and supervision to complete tasks, provide leadership training and professional development. A skilled supervisor is an effective communicator, problem-solver and employee motivator. Being a flight attendant supervisor sometimes is our worse enemy.If they already have the supervisor flight attendant position they are always correct inflight.A good supervisor must be knowledgable of your job,your scope and limitation. And always be a good listener to the employee. Effective supervisors are necessary in all settings where employees need guidance and supervision to complete tasks, serve costumers, and meet deadlines. A skilled supervisor is an effective communicator, problem-solver and employee motivator. In order to be a good leader and get the most out of all of your employees, you need to have insights into their strengths and developmental needs. You also need to have a clear set of expectations and goals. Great tips! A positive attitude is a major factor to be an effective supervisor. He should not be abusive in his position and sets a good example towards his subordinates. An effective supervisor is also a good team player, good leader is a good follower. In order to become an effective supervisor being flexible and open minded is important because you are dealing with people with different personalities. Not same thing will work with everyone. Being a supervisor is a vital task because you need to know your subordinate well and become a good role model. Always remember “walk the talk” when you reprimand someone. Constructive criticism – a skill all supervisors should possess. No matter how good or bad the feedback maybe so long as it is done in a constructive manner will always be a win-win situation. A good supervisor knows how to bring out the best in his/her subordinates. A good example and must appreciate the good works and àlso be ready to give inputs to correct the mistakes done. This is entirely correct. As a supervisor, I am entitled to perform every single tips stated to have an effective team. I will keep these items in mind when i become a supervisor and start managing people, and try to mold them to better their careers. Positivity is a major factor of success i don’t see how someone can be effective in an environment that is full of negativity. This article can give some people a heads up on how to be an effective supervisor. they can already apply this tips even if they are still in other positions. All the tips are great but for me every supervisor must be a coach/mentor for his/her employees for me learning should not stop in school but should be in every work we do and the best mentor we have everyday is our supervisors! In my opinion, employees are promoted to the role of supervisor because of their strong technical expertise. However, an effective supervisory relationship requires that the supervisor not only be a content expert, but that they also accept the enormous responsibility of mentorship. Those ideas are useful, I could make use of these if time comes I will be handling my own branch. Very helpful! I now have the idea if I’ll become a supervisor later on. But being a supervisor, you give feed backs constructively and being one also, you have to be open to feed backs and suggestions with your subordinates. So much so, this could help the supervisor and his staff work harmoniously. Great powers comes with great responsibilities. Supervisors can be a worker’s superhero if these tips will be applied. Being your worker’s model is a great way of letting them know that they can count on you and will certainly give you their respect and loyalty. Excellent tips! An effective supervisor really has to become a good example to his or her subordinates, he or she has to walk the talk. Having good communication skills is also very important. In my opinion the Supervisors make or break operations, the most crucial position in an organization, and usually one of the biggest investments that a company goes into. they lead the front line to the direction of the goals and objectives of the company. Line Managers and Supervisors plays crucial role in the organization because they are the one who interpret, relay/convey and most importantly execute whatever the Top Management wants to achieve. Supervisors should not abused their authority in an organization just to manipulate people. Being a good role model to your subordinates with good moral conduct is my favorite!